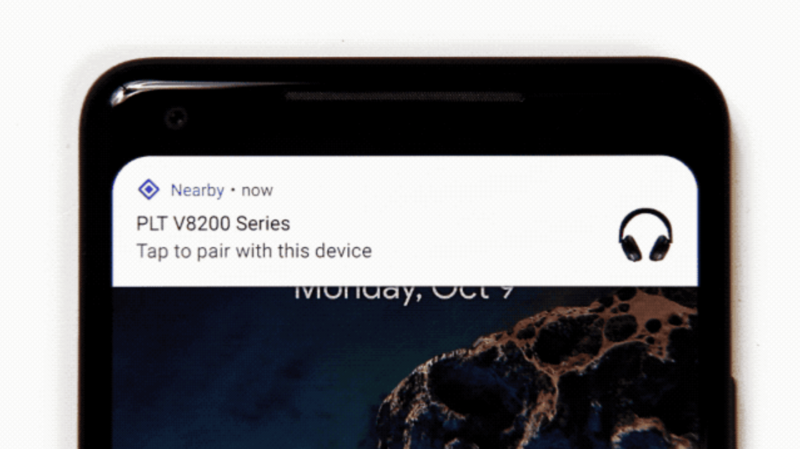 Technology is all about making things faster and easier, and that's exactly what the newly-announced Fast Pair by Google aims to do. If you have a device running Android 6.0 Marshmallow or above, your days of fiddling with Bluetooth settings will soon be over (with some select devices). Fast Pair utilizes Bluetooth Low Energy to discover nearby devices, but regular old Bluetooth to pair. When your Bluetooth and Location are on, your phone will scan for Fast Pair packets near you. This packet is sent to Google's servers to pull a product image, name, and if applicable, companion app. Once all this is received, a very handsome high-priority 'Tap to pair' notification is sent to the device. When the notification is tapped on, the nearby Bluetooth device connects via classic Bluetooth, and a notification is sent confirming the connection, including a link to download the companion app if there is one. This feature is rolling out to devices running Android 6.0 Marshmallow or higher via Google Play services 11.7+. It's already live for the Pixel Buds, Libratone Q Adapt On-Ear, and soon on the Plantronics Voyager 8200-series headphones. And if you're a Bluetooth device manufacturer who wants Fast Pair on your products, you can reach out to Google here.